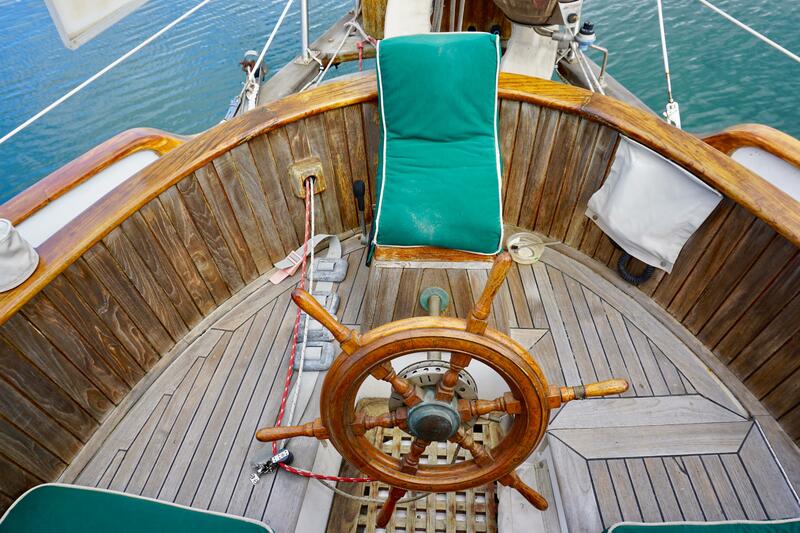 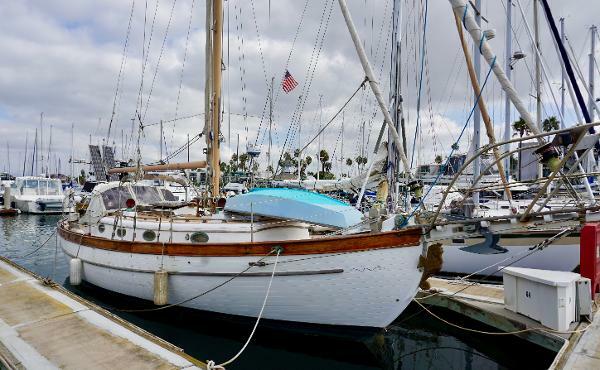 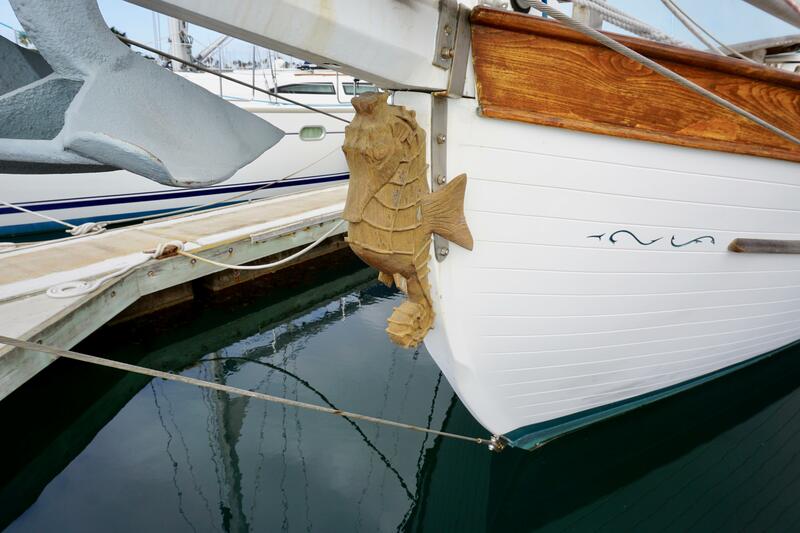 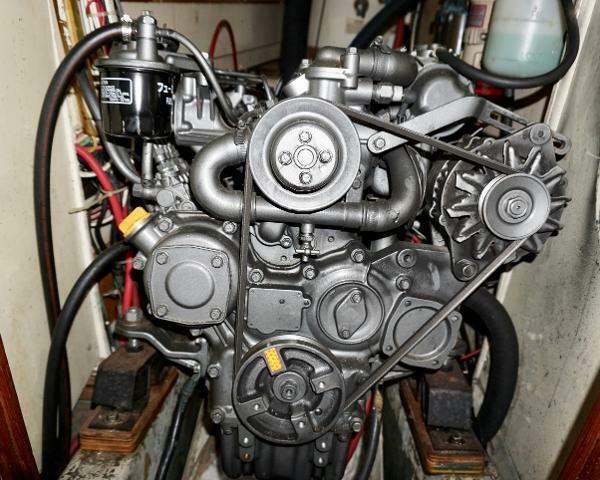 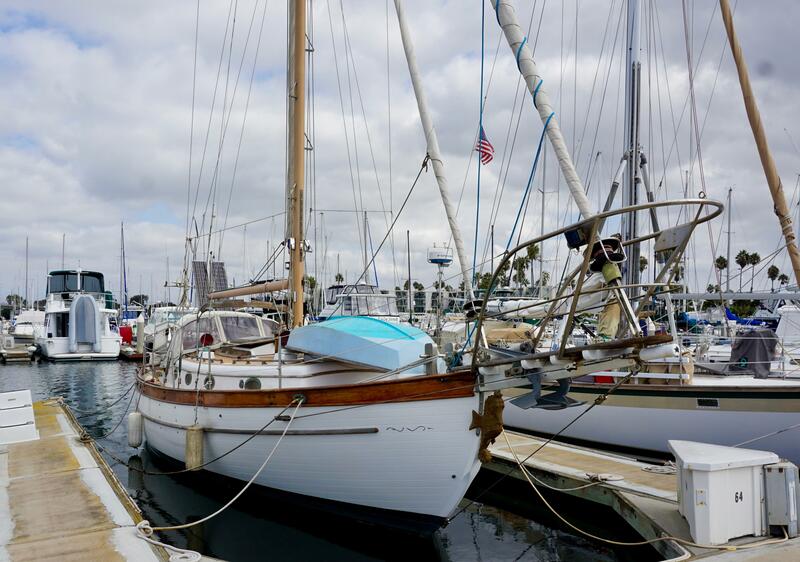 This is the quintessential cruiser: designed by Robert Perry and built to the highest standards. 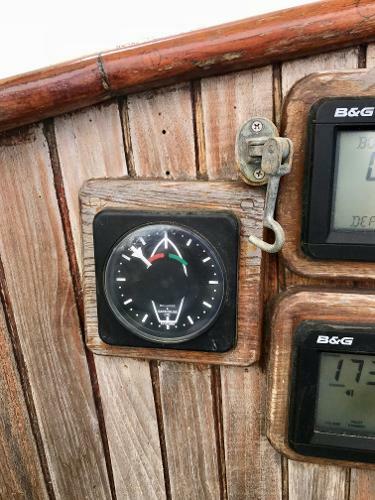 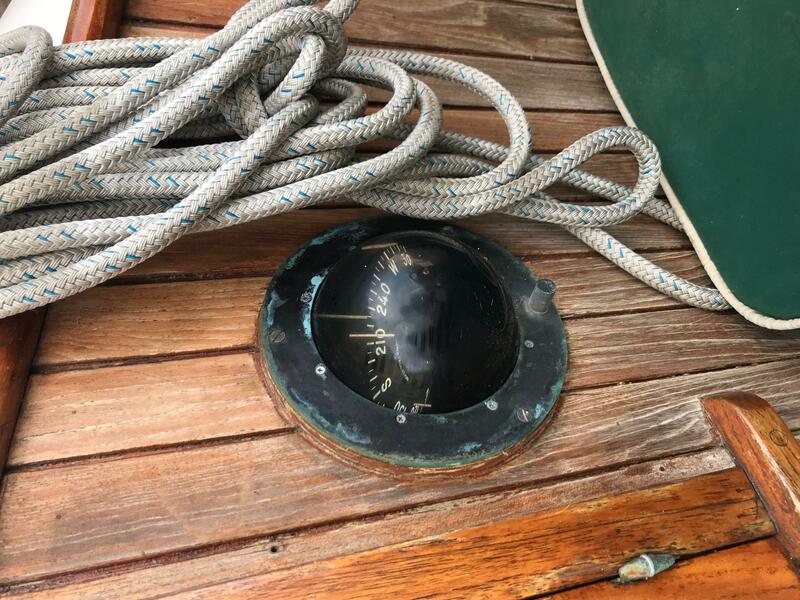 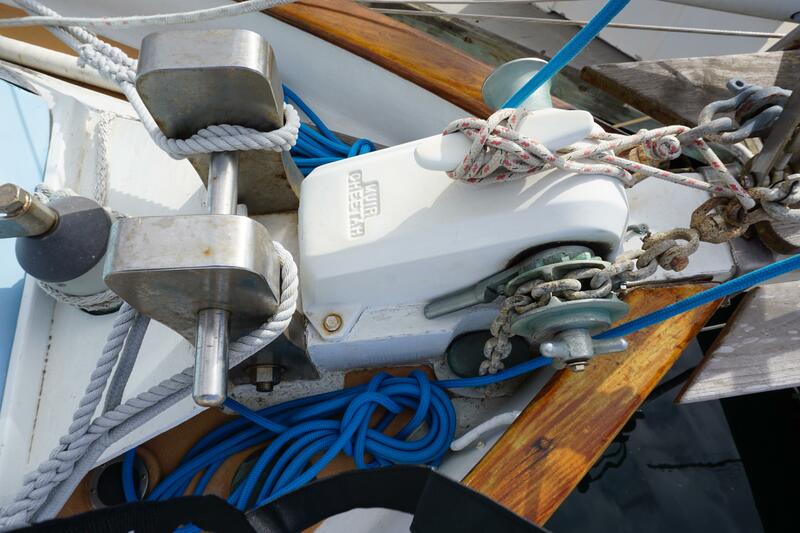 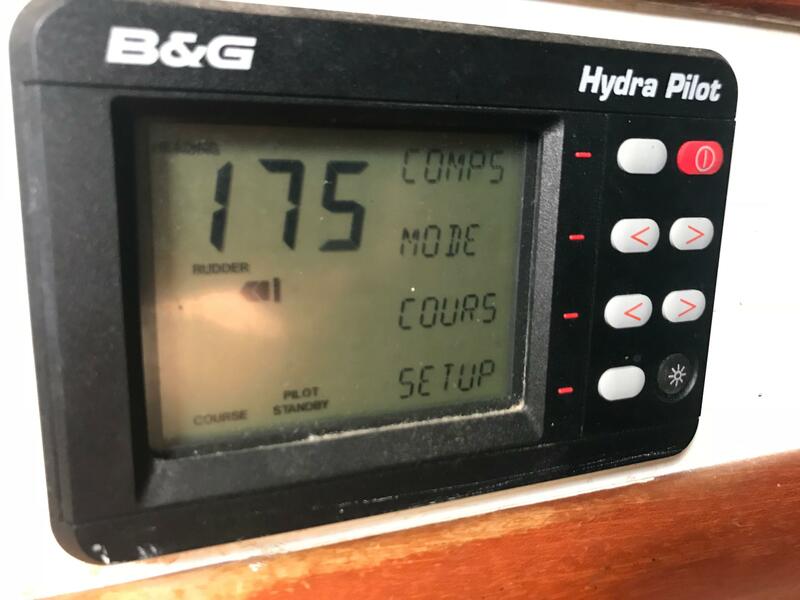 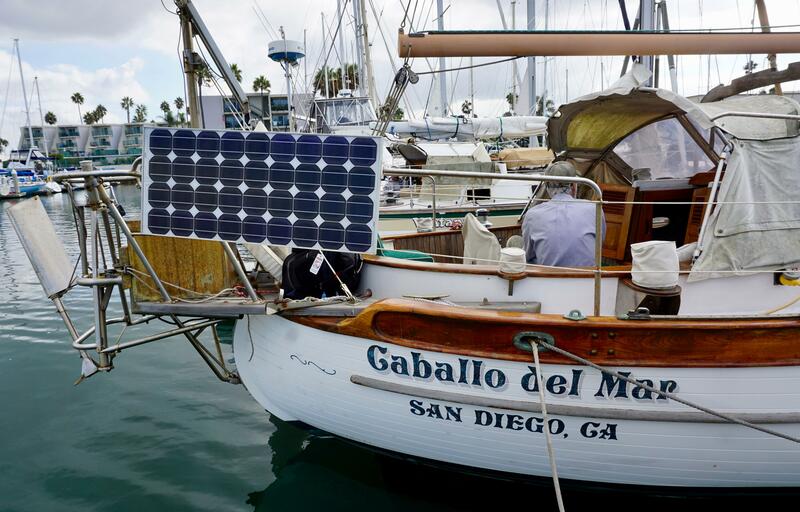 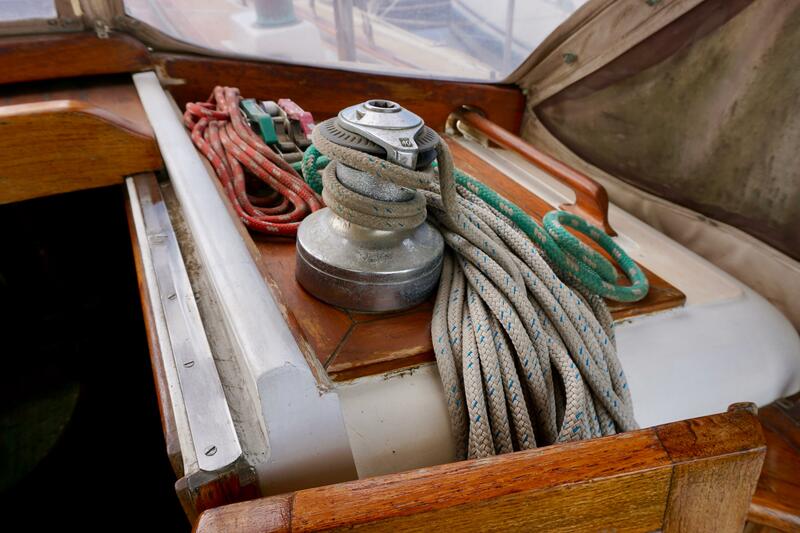 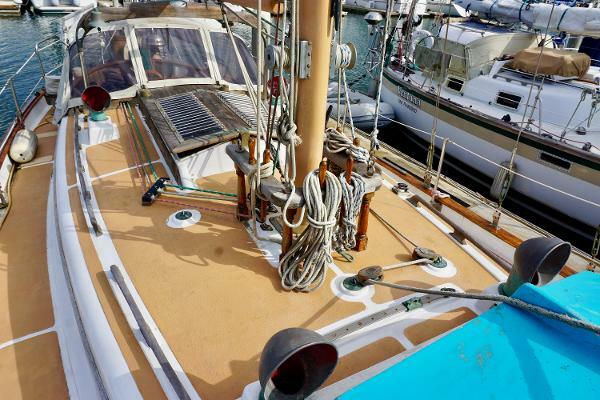 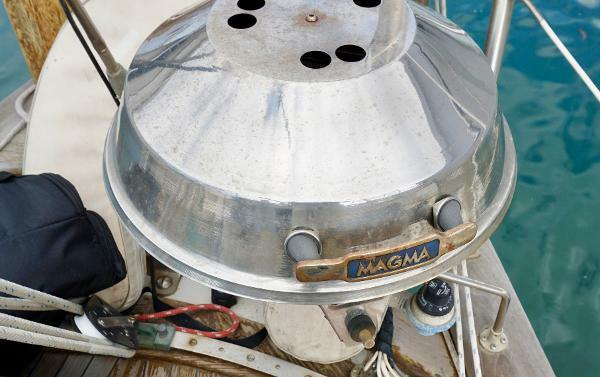 With all roller furling sails, Caballo Del Mar is easily handled from the cockpit. 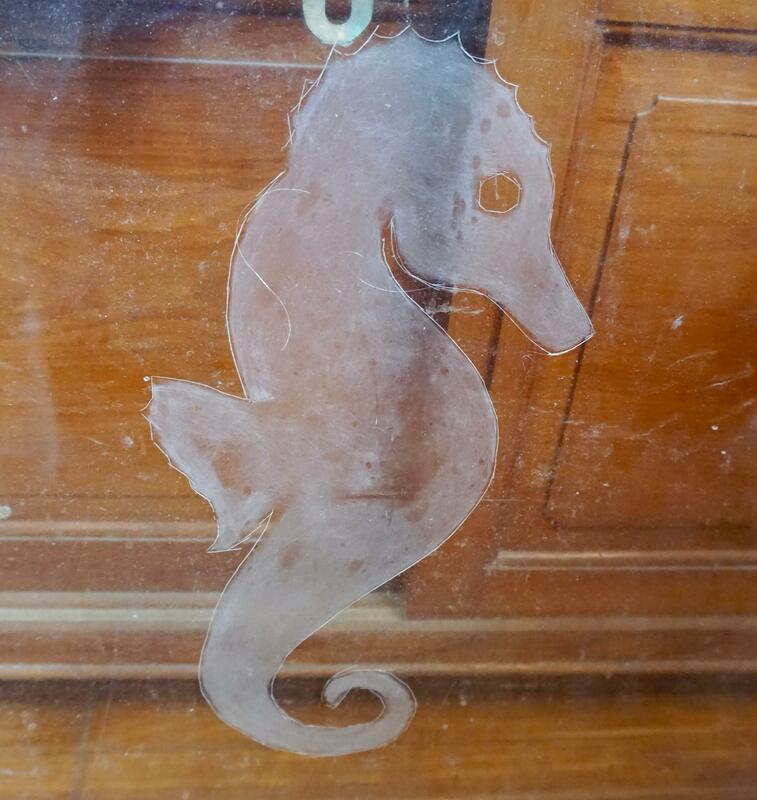 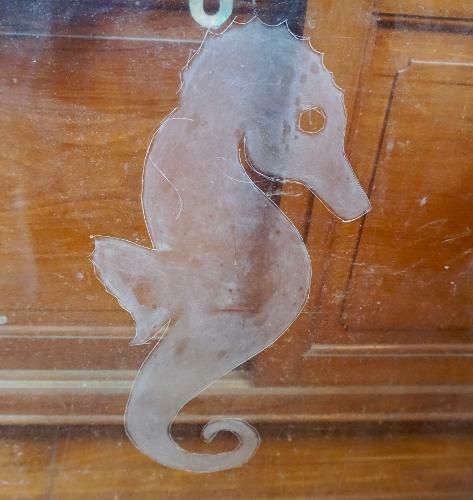 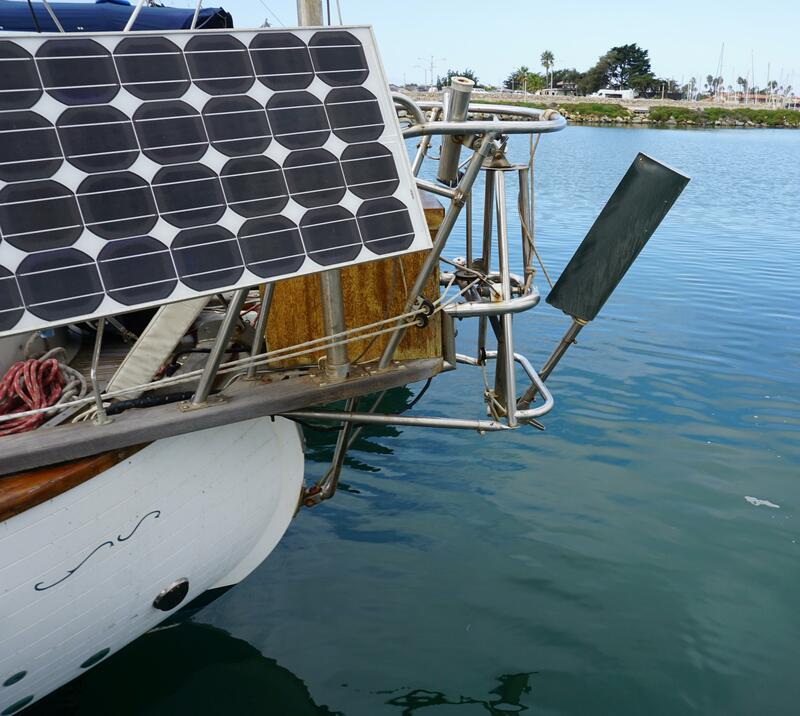 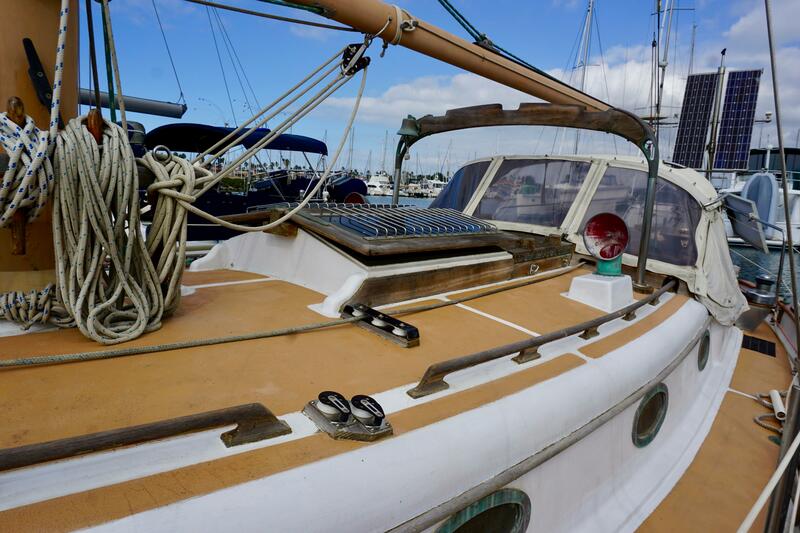 This boat is ready to go cruising! 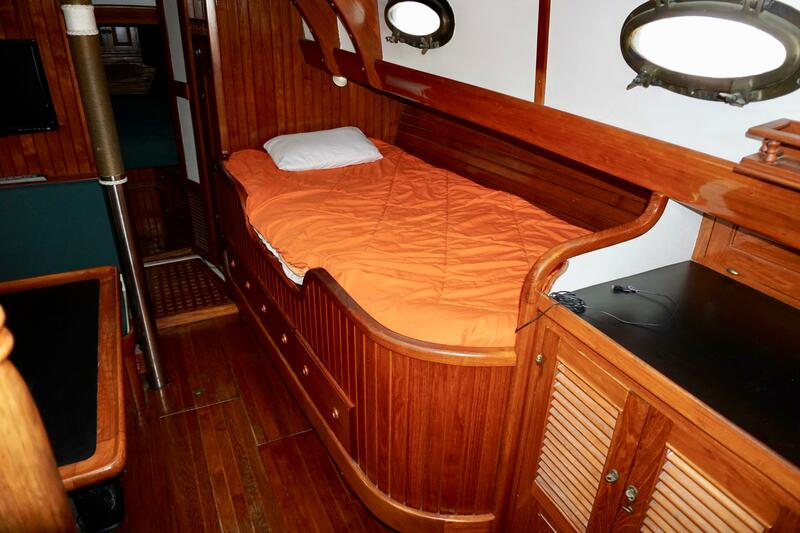 Warm wood tones and a custom interior layout make her a unique and comfortable vessel. Teak finish throughout. 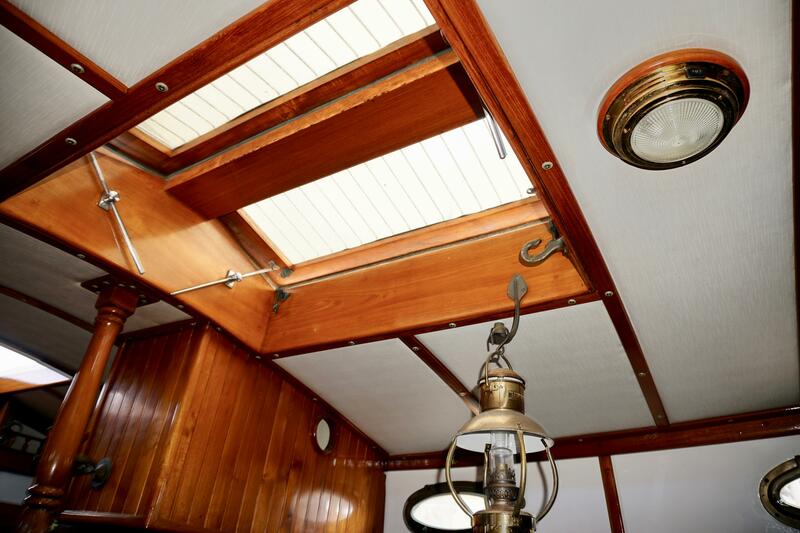 Large butterfly hatch, nine opening ports and large overhead hatch in forward stateroom provide exceptional light and ventilation. 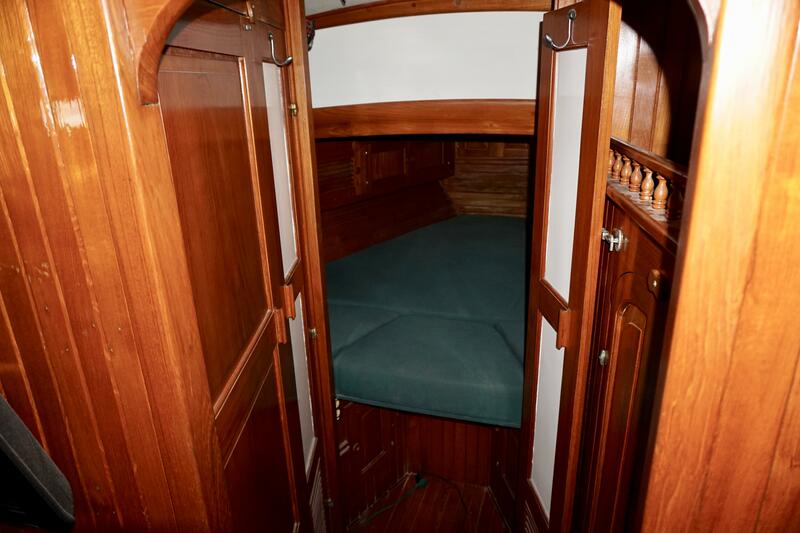 Accommodations include a V-berth in forward stateroom, a U-shaped dinette that converts to a double berth and a queen-sized Pullman berth opposite dinette with a custom mattress. 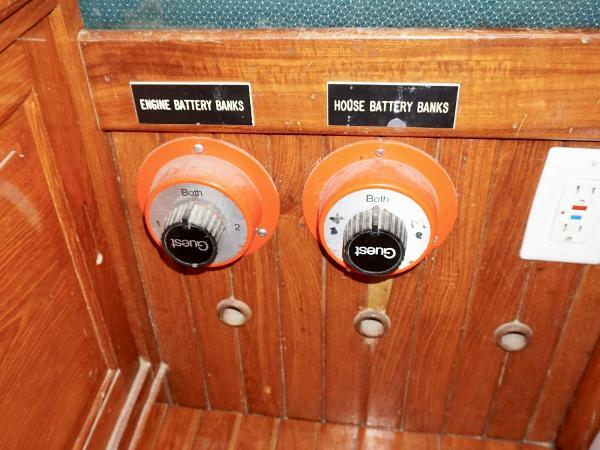 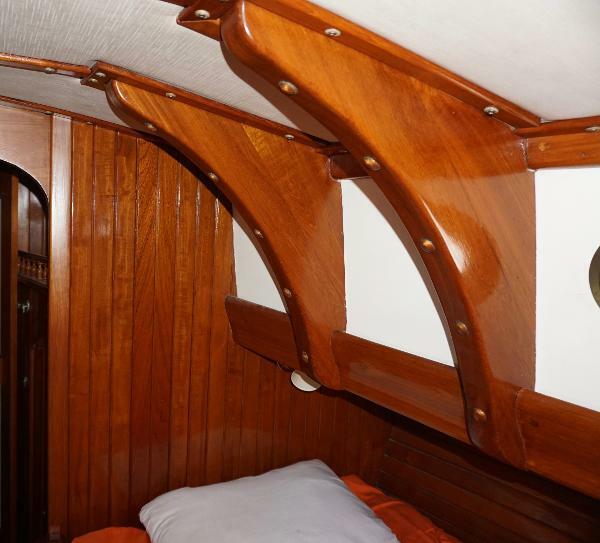 Storage consists of continuous teak cabinets port and starboard of the V-berth, chain locker with custom shelves, a large hanging locker with shelving, three deep drawers and open cubbyholes below Pullman berth, a tall locker by nav station with two deep drawers as well as additional cabinets. 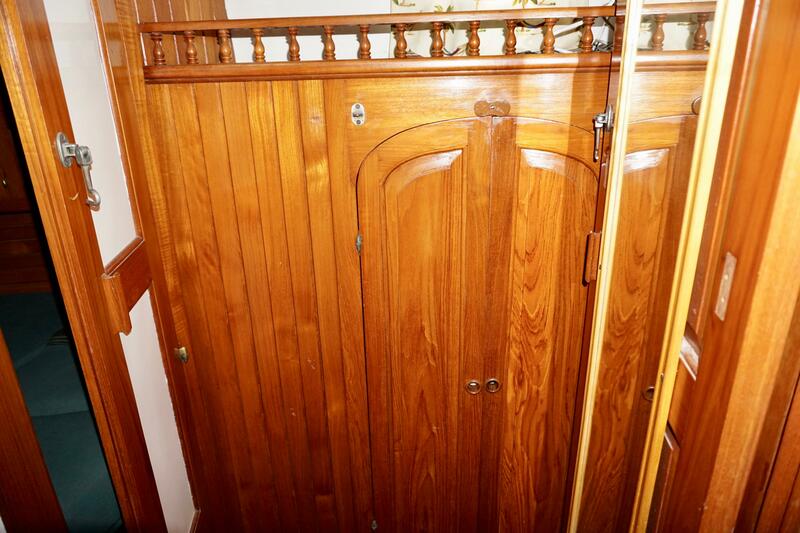 A full head with shower with teak privacy doors that separate head from main salon and V-berth. 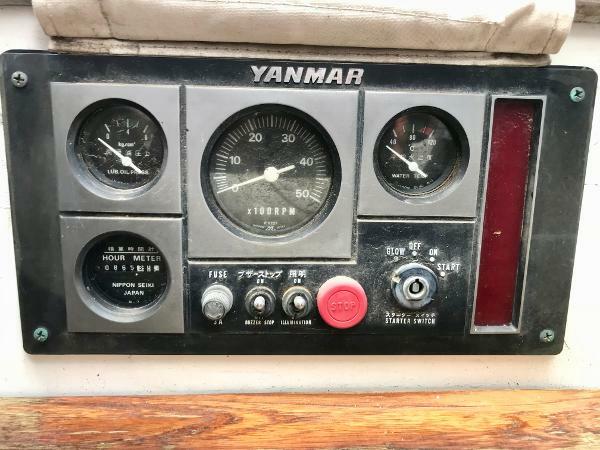 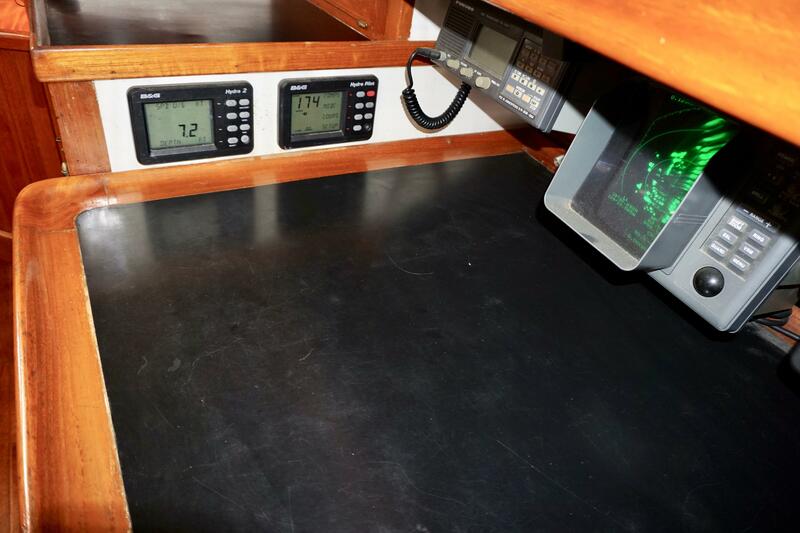 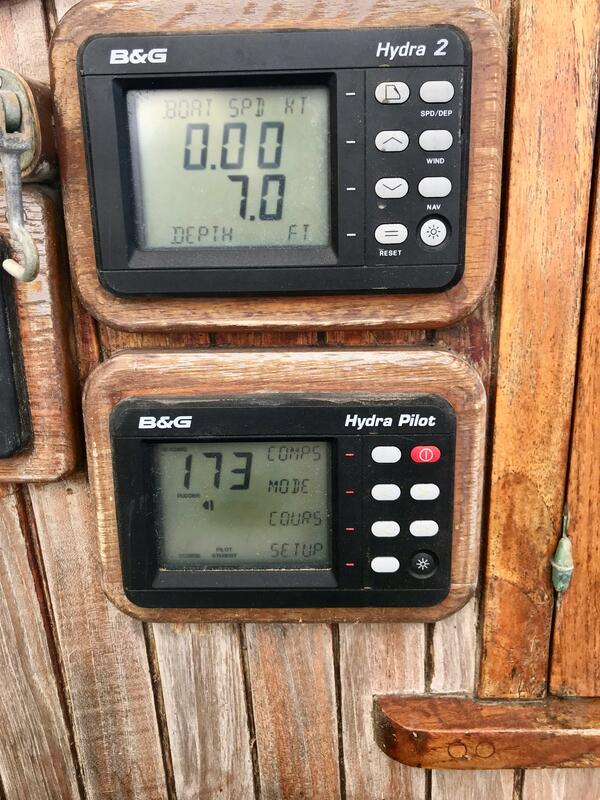 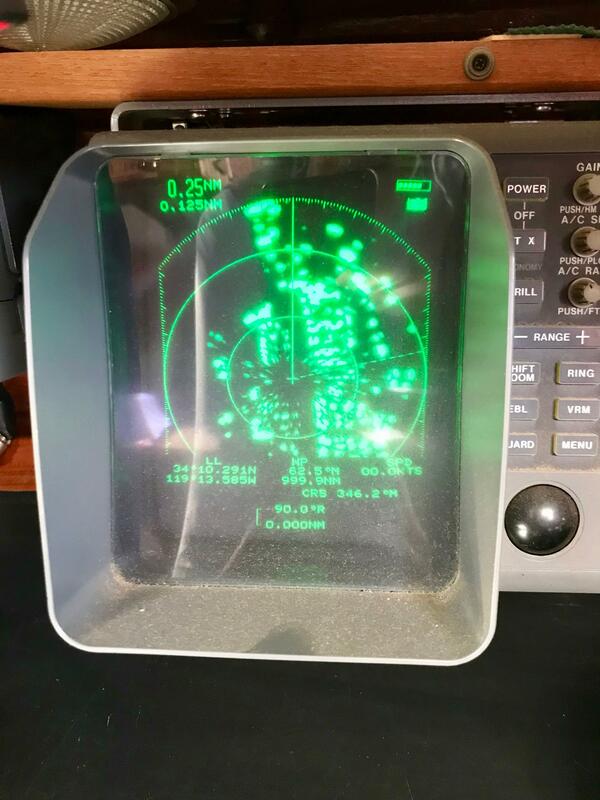 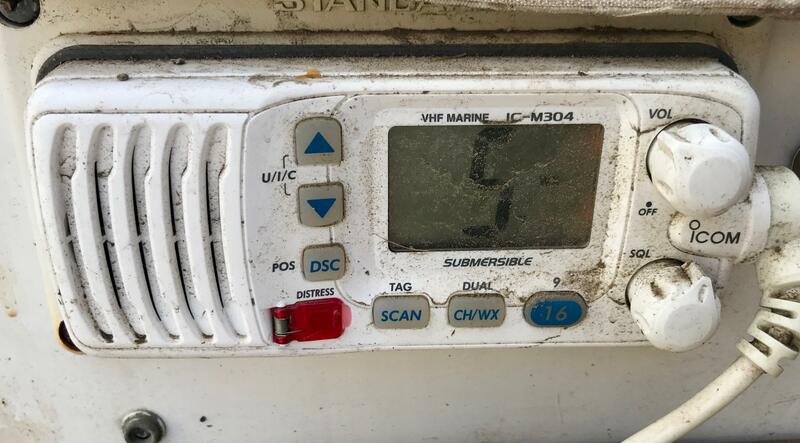 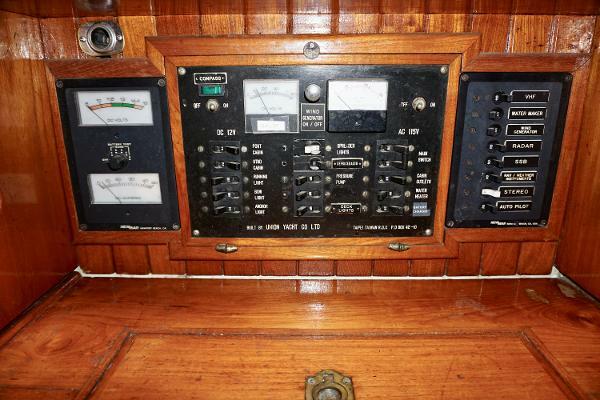 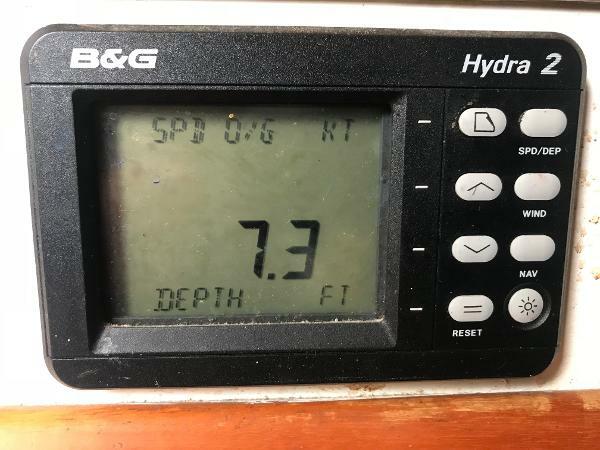 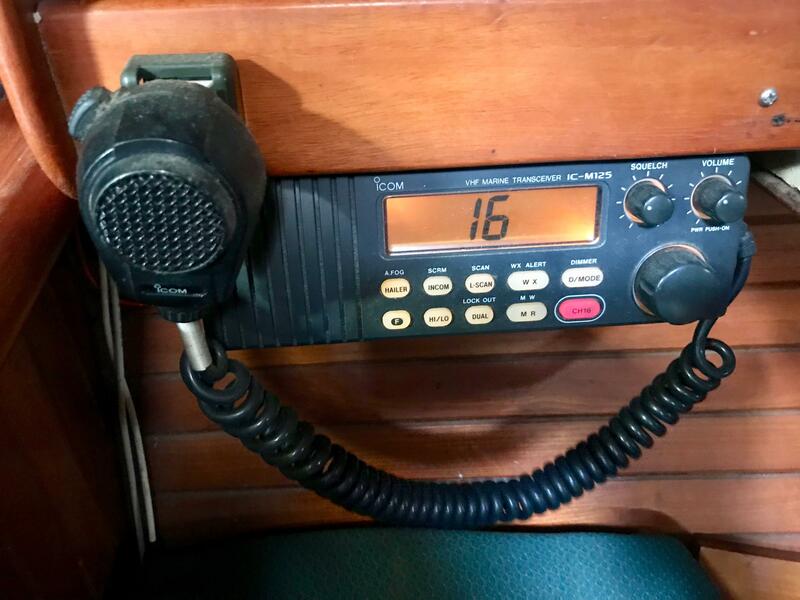 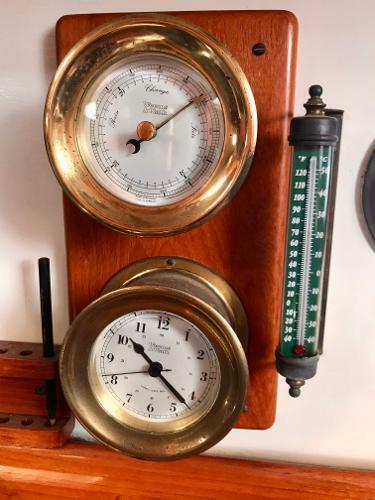 Nav station has a 40" wide chart table. 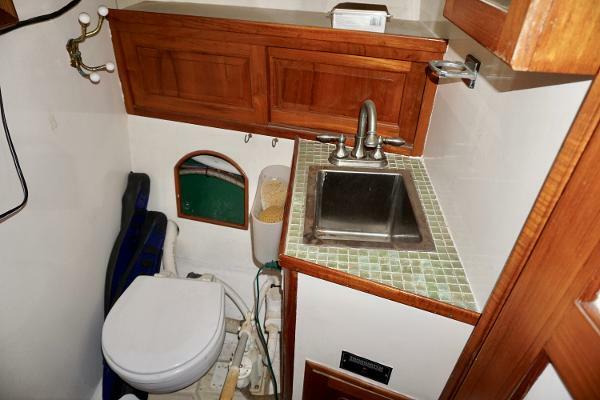 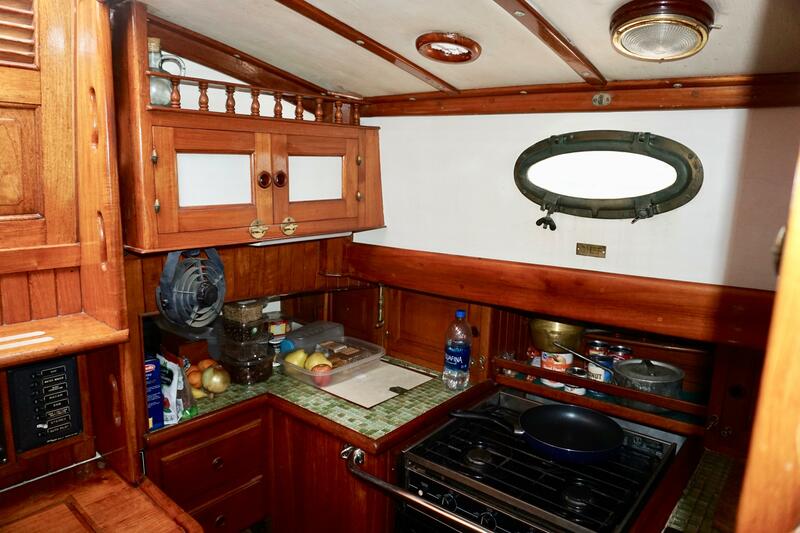 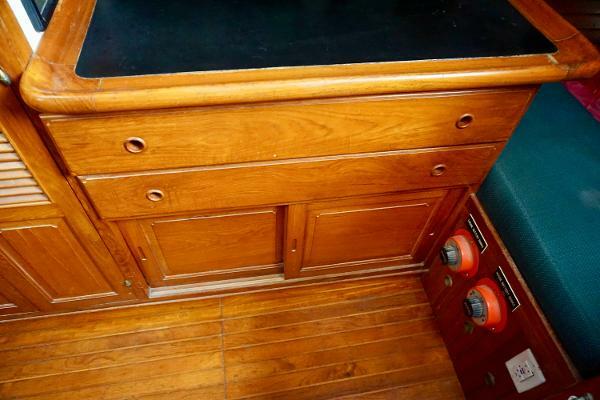 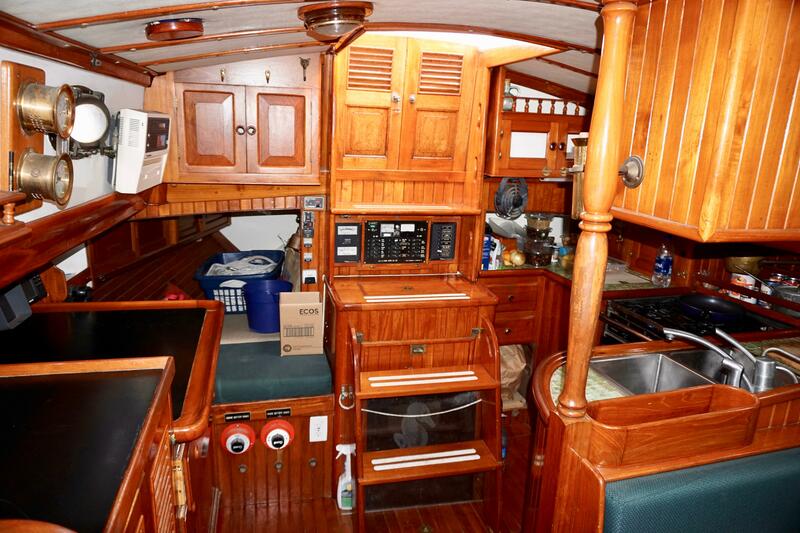 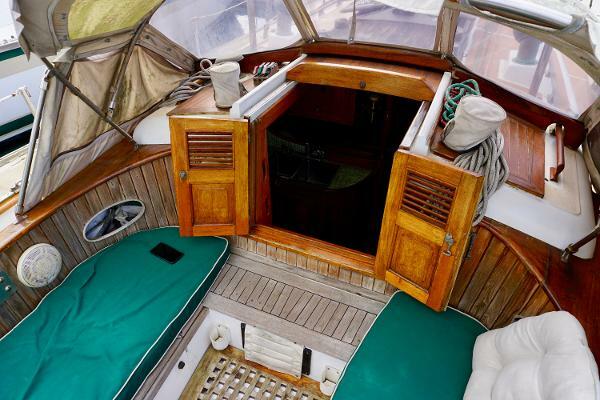 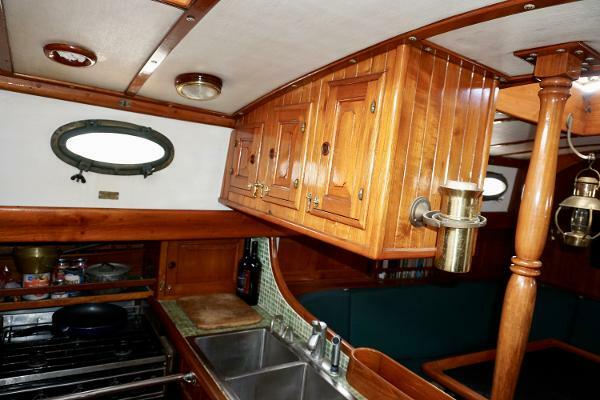 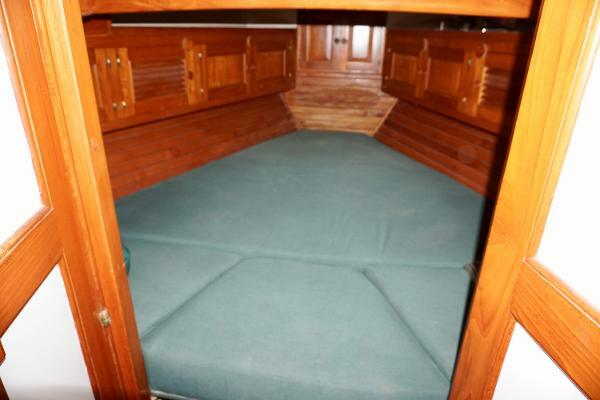 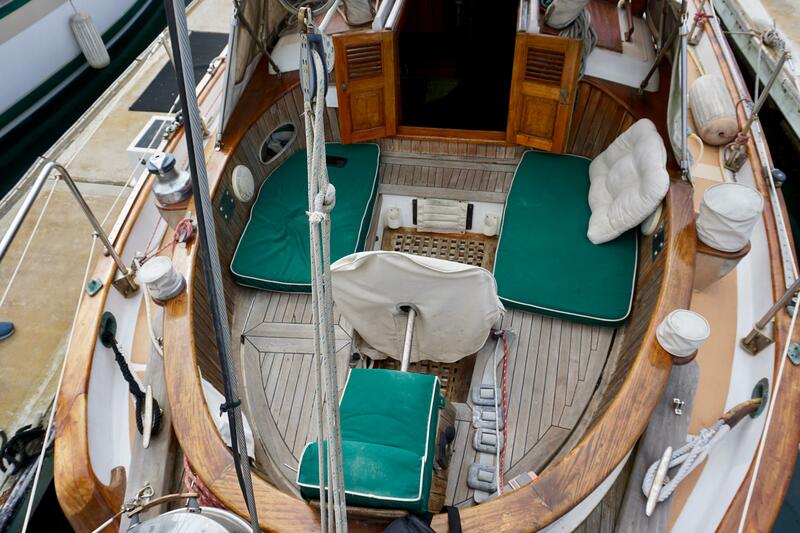 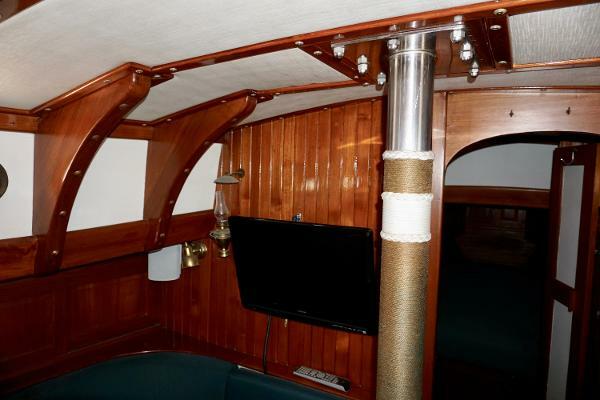 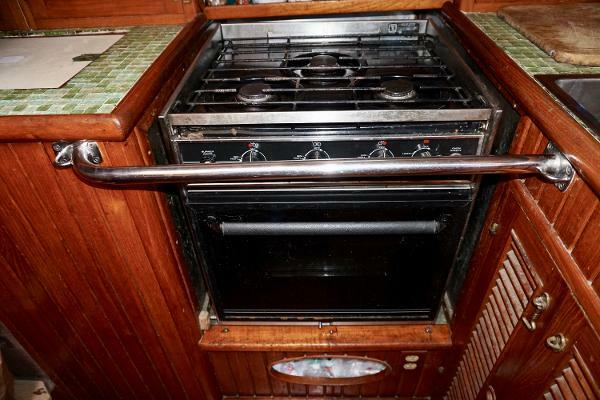 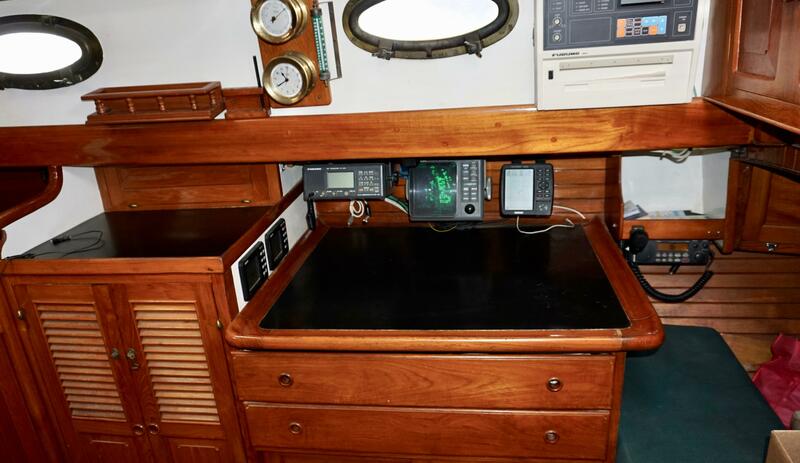 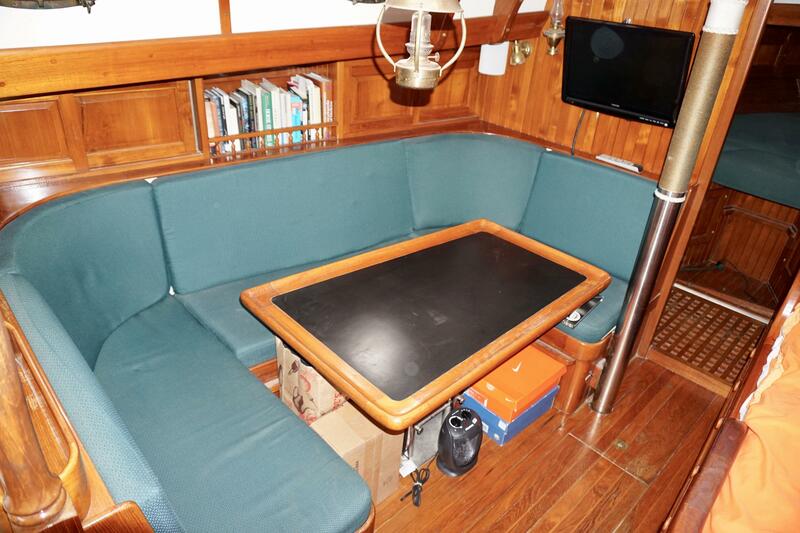 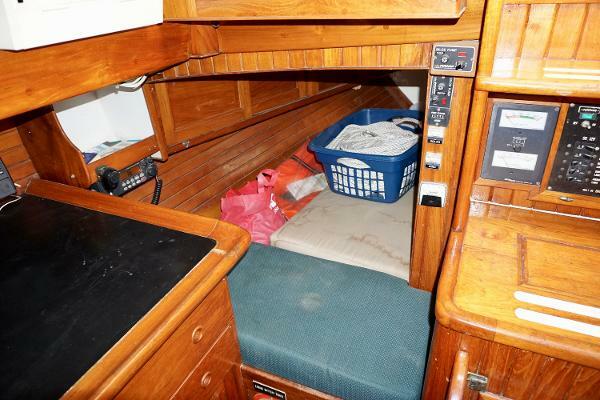 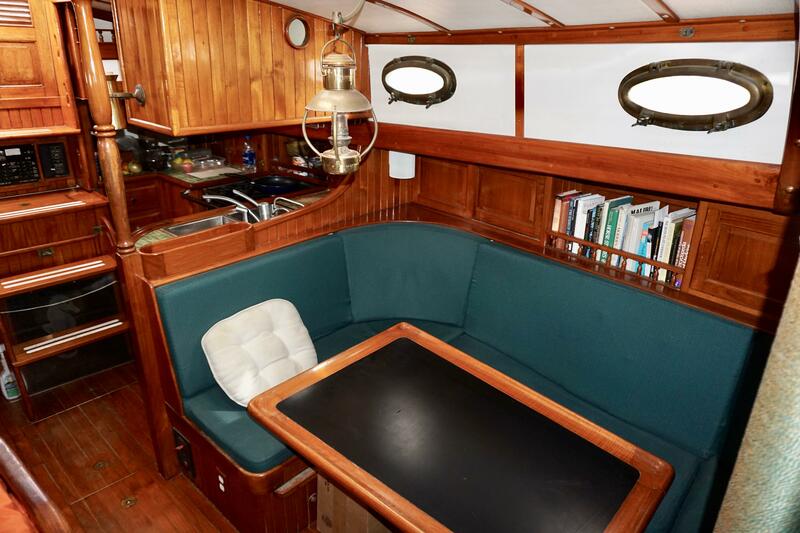 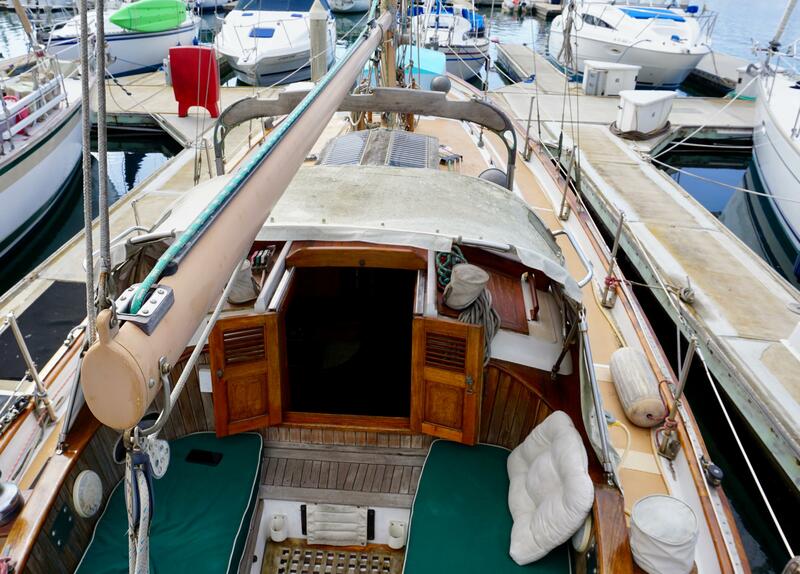 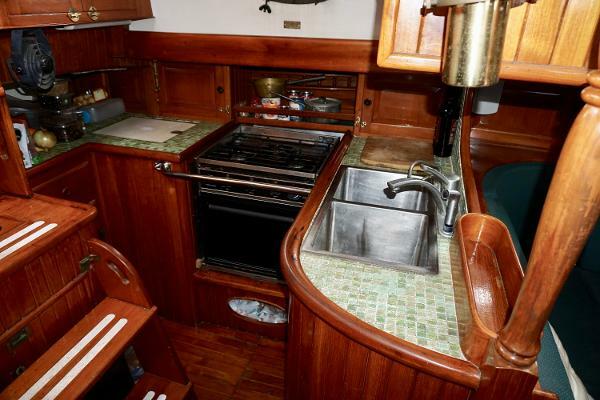 Quarter berth has teak cabinets and opening port to cockpit. 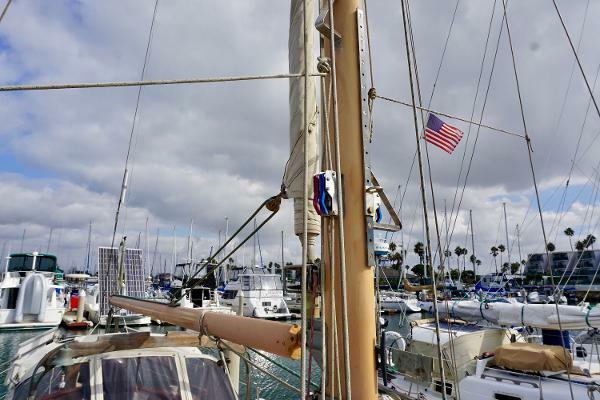 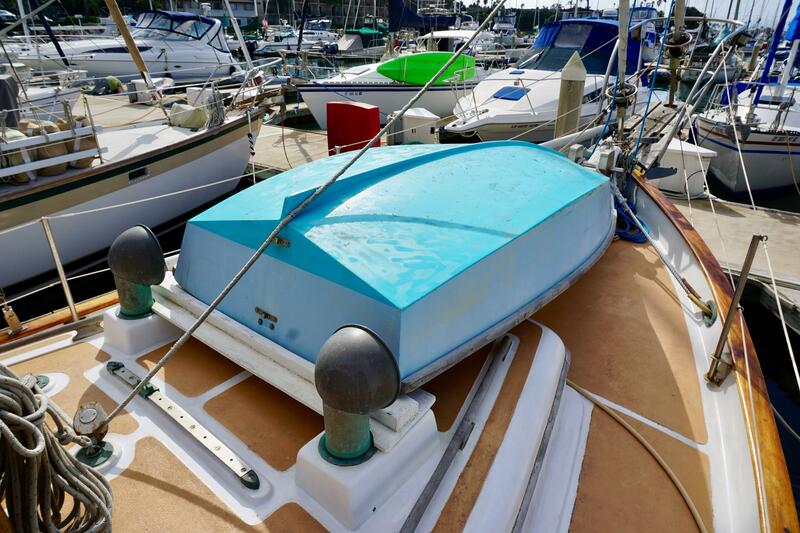 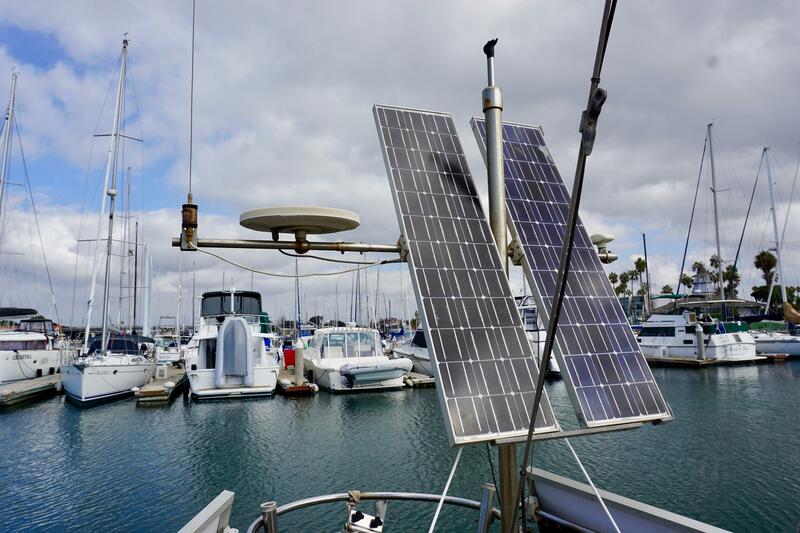 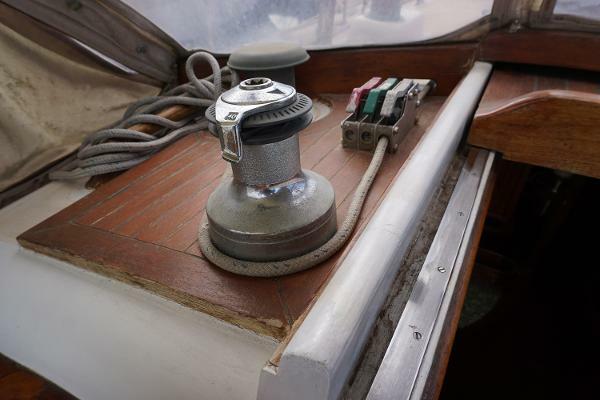 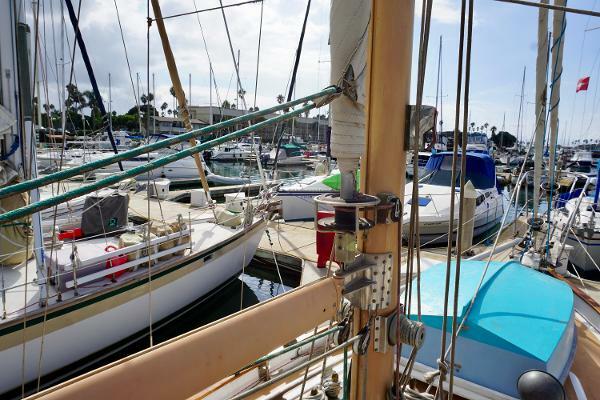 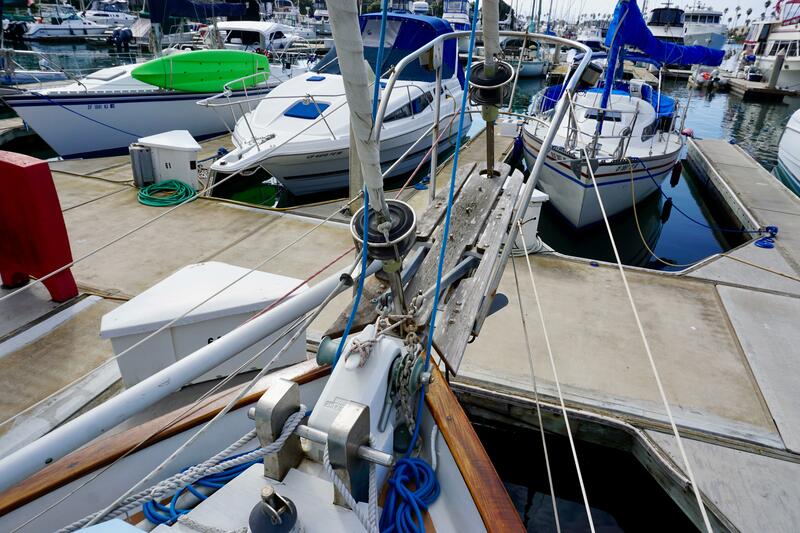 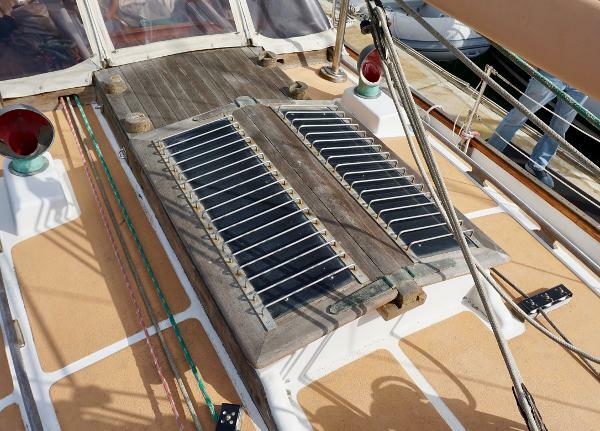 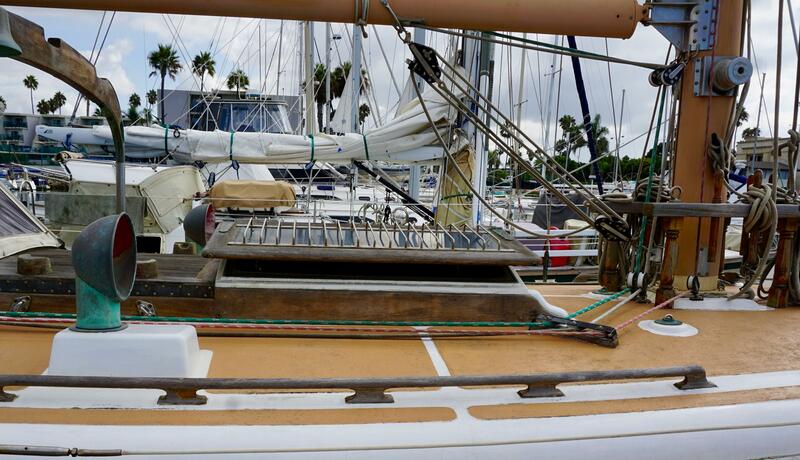 Engine access is through removable companionway steps. 6'2" headroom.